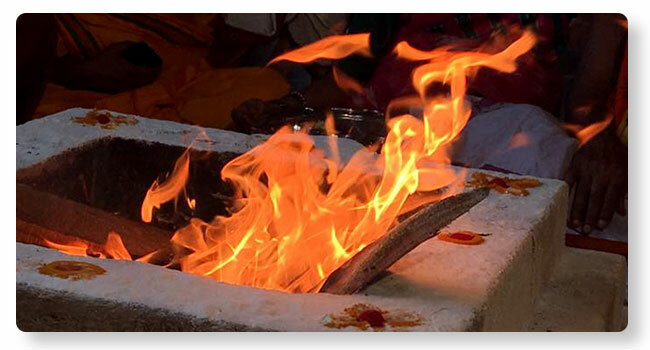 Navachandi Homa is performed to impress upon goddess Parvati in the form of Chandi. The nine forms of Parvati are invoked and offered oblations in the form of ghee and other items in the Homa. Lord Shiva is also worshipped simultaneously. This seva atones all sins and bestows the grace and blessings of the Lord.